Ray had four very successful years at Canterbury Juniors before deciding to take the next step as a senior coach. Ray is now moving into his twelfth straight season with SUFC as a volunteer coach. Since 2008, Ray has coached nine years in Grade and two years in Colts. This includes six Grand Final appearances resulting in four premierships and one undefeated season. Over eleven seasons Ray has coached over 200 games for the Club with a winning average of 81.78%. In 2009, Ray was the recipient of the SUFC Volunteer of the Year award, which he won again in 2015 with the award name changed to the ‘Stephen Rowntree” Volunteer of the Year Award. In 2018 Ray Hudd was awarded a Sydney University Gold for his service to SUFC. Each year Ray would encourage his players to pass around the hat and raise money for a worthy cause. Ray would donate the funds raised to the Matt Laffan Scholarship held at St John’s College. The scholarship provides assistance for disabled students to attended college at Sydney University. Ray was also invited to take part in the Inter College Rugby competition and assisted St Andrew’s College to three consecutive Rawson Cup Victories. Ray was instrumental with the creation of the SUFC Juniors Development Academy. Under this program Ray coached the Sydney Uni Juniors to the U16 and U17 NSW State Ruby Union Championship titles. The Sydney Uni Junior Development academy produced players such as, James Caterson, Folau Fainga’a, Jake Gordon, George Hudd, Tolu Latu, Rohan O'Regan and Tom Shaw, all of which are still playing or coaching at SUFC today. 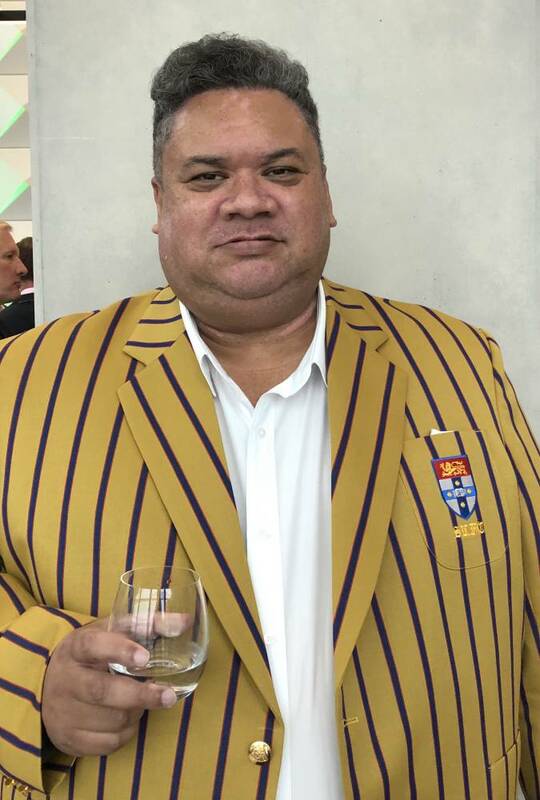 While coaching at SUFC, Ray still managed to find time to coach or be a selector for NSW Tama Tonga, NSWJRU, Sydney Juniors, Metropolitan Southern Zone (MSZ) and St Joseph's College, Hunters Hill. When not coaching Rugby, Ray can be found overseeing commercial construction projects with A W Edwards. Ray coordinates, manages and commissions the building services component of the project. Ray was part of the A W Edwards team that recently won a Master Builders Association (NSW) award for the construction of the new Rugby Australia Head Office at Moore Park. Ray has been part of the Building and Construction industry for twenty-nine years which includes time spent studying a Bachelor of Construction Management at The University of Newcastle. Ray has just enrolled in the Bachelor of Business majoring in Property at Western Sydney University. Ray tells us that if he wasn’t coaching Rugby, he would be the biggest property developer in the world!